I love using my Aeropress, from the simplicity and reliability, to the joy of the ritual. However, it has a hell of a lot of components that have a tendency to end up in a jumble all over the place. To resolve this mess and proudly display my Aeropress, I designed a set of holders that are mount to the splashback or kitchen wall. 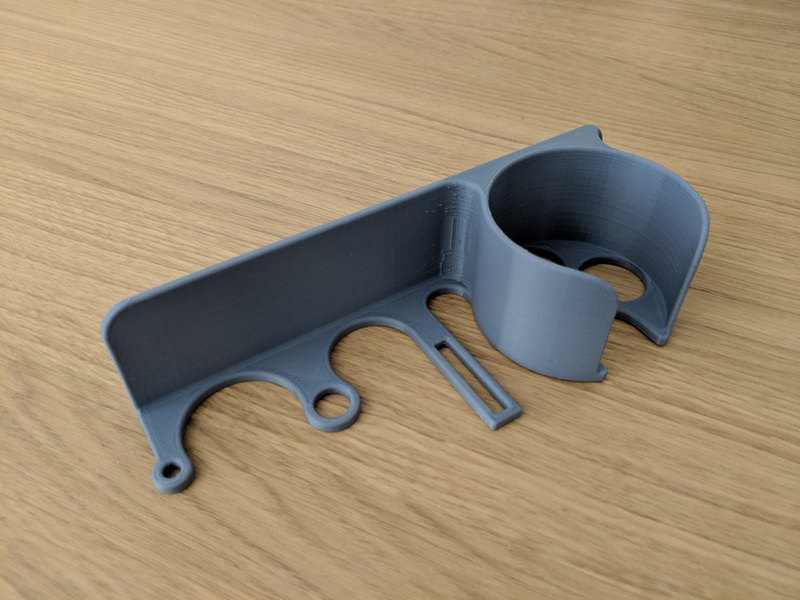 I ended up with 3 separate holders because the Aeropress components are quite large - this makes printing more manageable and installation options more plentiful. The versatility afforded by the 3 separate holders allowed me to wrap my Aeropress storage/display around an internal corner of my kitchen. The most satisfying thing about this design is that every part worked on the first print, no iterations needed! (okay so maybe the filters are a little tight).